Have you guys seen or read the news about which emotional support animal will be allowed on a specific airline lately? Apparently Southwest Airlines started restricting them to one cat, dog, or miniature horse only. With news like these, our comics pretty much write themselves. What your thoughts on this? Have you guys seen anything other than a cat or dog on a flight before? 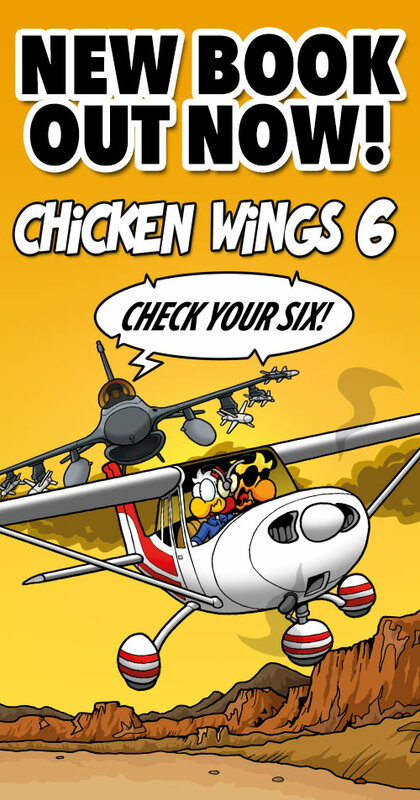 ‹ Don’t you have a checkride tomorrow? Yes, abuse of an originally genuine system by sociopaths, narcissists, and the clueless. I got permission to have my guinea pig as an emotional support animal in my college dorm, at times I debated if it was legitimate or just having my pet – he certainly helped me through the stressful times though. It never interfered with anyone else though, no harm done. I see a lot of situations where it’s taken to the absurd, places where it’s silly to need such a thing or it causes massive problems. Anyone should be able to go a few hours without their ESA. I also worry about the animal’s welfare. I once heard a story of a person who wanted to bring her emotional support guinea pig to class with her – she sued the university and won. Regardless of the effects that has on the class, I fear that borders on animal abuse! Guinea pigs can’t handle being carried around all day like that, they are best kept in a cage or playpen all day, sitting idle most of the time, and played with for a couple hours per day in brief periods. Birds often make it into aircraft in some parts of the world – where they book a few rows for the birds – normally sports/hunting birds. There are 2 US approved animals that can be taught to guide humans who have lost their sight. Dogs and miniature horses. Other animals are used for other direct assistance needs, or for emotional support, but only those two are valid guide animals. I think it is ridiculous. If someone is so unstable they can’t handle being without an animal for a few hours they shouldn’t be out in public, let alone in a small metal tube 4 miles high. The biggest problem in society right now is people are taught that having no emotional control and taking no responsibility for their actions is a virtue. This isn’t going to end well. Guide animals take years of training. They are an entirely different ball of fur. That’s weird. I didn’t know miniature horses were a thing, much less that they could be trained to be guide animals. TIL. I know people who have been helped by support animals and I would have one myself except I treat animals like they are my babies and worry to death over them so I have to find other means of emotional support. I had a coworker actually admit to me she got a doctor to write a fraudulent service animal letter and got a little vest for her small dog so it could fly next to her! I straight out told her what she did will hurt people who really need support animals to fly with them. She just didn’t get it and kept gushing about how cute her little dog was in it’s little vest. SMDH!!!! A sheep? No support chicken??? Isn’t Clarence a female name? So Clarence showed _her_ emotional support by p… ? I even think “sheep” implies feminity anyway, there must be a speicific word for the male counterpart. I have got a rattle snake as emotional support animal. When I got to much stressed up and get overheated. It starts to rattle and I only have have to look at it to get stone cold frozen. It it doesn’t work it bites to get me calm. From the country where sheep outnumber humans, sheep is the descriptive for the woolly beasties, while a female is a Ewe, and an entire male is a Ram whilst a Ram that has lost his testicles is a Wether. Enjoy the strip, please keep up the good work. Jan: I think the term you’re looking for is “ram.” My understanding is that “sheep” might refer both to the females of the species and generally to individuals of the species as a whole. Sort of similar to how “cow” is a female bovine, but often refers to bovines in general. I assume this usage is probably because most farmers and ranchers of both those species have a herd of mostly females, so the female term became generic for the type of animal. Tampa: Many airlines will allow passengers to bring animals in a carrier for an extra fee. They are supposed to stay in the carrier, but that doesn’t mean they always do. A few months ago my mom and I brought a cat from Guatemala to Colorado via United Airlines. Second hop was a red-eye A320, almost empty. Mom and I had the exit row to ourselves, and we decided to let the cat out of the carrier part of the flight, as she was so miserable in it. Flight attendants were surely aware of this and turned a blind eye to it. Was end of a long shift, they were tired, bored, and didn’t care anymore. One mentioned that a cat had gotten loose on an earlier flight, I could tell on some level she was hoping that would happen again. Something amusing to break up the monotony. Long ago, in a French domestic flight, there was a story where a car escaped from its owners in flight, and as he was scared found that the best place to find shelter was…behind the rudder pedals in the cockpit (they didn’t close the doors in pre-9/11 era). It took a few minutes (and a few scratches to hands by the scared cat) to extract him from where it was…. I admit I travel by far more relaxedly when I don´t have an animal with me. I really love my cats, but sometimes it just feels good not to care about those little monsters. Once there was a falcon (the hunting kind, with a hood) in the Qatar flight I took from Doha. It was 2 rows front but still quite impressive. BTW, it was a short flight, like about 1h30. I have a rattle snake as support animal. It keeps me calm. Every time I get overheated or I freak out it starts to rattle. Then I only have to look at it to stop me dead in my tracks and cool down such much it sends freezing ripples down my spine. If I do not calm down my snake takes care of that anyway. I have a rattle snake as emotional support animal. If I get too stressed up and start to freak out, it rattles his tale. I then only have to look at it to stop dead in my tracks and I get freezing shivers down my spine. If I do not calm down it takes care of me in the old fashioned sneaky way.